Provincial government officials have racked up over R1-million in traffic fines with state-owned vehicles over the past three years, showing a complete disregard for the laws of the road. In a response to a written question, Transport MEC, Weziwe Tikana, said officials driving state vehicles ran up fines totalling R1,141-million from April 2016 to the beginning of November this year. The reality is that these fines boil down to fruitless and wasteful expenditure by the departments, and shows complete disregard for law and order. 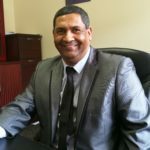 MEC Tikana revealed that in the 2016/17 financial year, fines of R394 050 were incurred. In the 2017/18 financial year, this increased to R406 737, and from April to October, there was already R339,900 worth of additional fines accumulated. MEC Tikana explained that, as traffic officers were not always able to identify the driver of the vehicle, the fines would be issued to Government Fleet Management Services. GFMS would then try to identify the driver of the vehicle, who would then be liable to pay the fine. Where the driver could not be identified, the fines are billed for the account of the respective department, who would then have to recoup the costs from their employees. Tikana also revealed that GFMS owes the Road Traffic Management Agency an additional R39,993 for infringements that had been cleared from the e-natis system, as these were blocking the GFMS account and were hindering the licensing of GFMS vehicles. With departmental budgets under pressure, this wasteful expenditure amount is irresponsible and an additional expense the province should not be footing at this time. I will be submitting follow up questions to the MEC to get clarity on which departments are at fault, and, where possible, which drivers are repeat offenders. A DA-led government will ensure that any abuse of state resources, including that of state-owned motor vehicles, will not be tolerated, and that those responsible will be held to account.